Does Vaseline Make Your Eyelashes Longer? 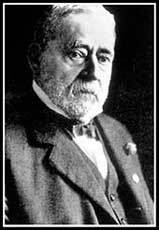 In 1859, a chemist named Robert Augustus Chesebrough, a native of Brooklyn New York, went to Pennsylvania in order to check out an oil well there. While he was there, he noticed that some of the workers were using some wax and smearing it all over their cuts and burns. He then extracted the petroleum jelly and began to market it under the name Vaseline. From chapped lips to smeared mascara, Vaseline (petroleum jelly) seems to be a sort of cure-all. Petroleum jelly or white petrolatum is a semi-solid mixture of hydrocarbons used by consumers as a kind of topical ointment to cure everything of toenail fungus to diaper rash. It can also apparently be used to make your eyelashes fuller and longer. Using the q-tip as an applicator, run it along your lash line careful not to get it into your eye, as you would eyeliner. Afterward get a little bit of the petroleum jelly in between your thumb and index finger and slowly get some of it onto your lashes. You should start seeing some improvement in about 2-4 weeks. Here are a couple of pros and cons to help you decide whether or not to use Vaseline to make your eyelashes longer. You can find this everywhere. You can find this at any drugstore or department store near you. It is known to heal cuts and burns by moisturizing the affected area. It gives you a natural dewy look when you apply it on your eyelashes in the day time instead of mascara. It has been said to make your makeup last longer. So if you are applying it before your mascara, it apparently makes it last longer. Some people say that instead of making your mascara last longer, it smudges your mascara and ends up giving you raccoon eyes. The greasy texture and nature of Vaseline may make it difficult for you to remove it. Oils around the eye area can cause a problem since this could lead to a build-up. It then leads to unsightly puffiness and dark circles under your eyes. So remember to rinse the oil out properly come morning. The oily and thick texture of Vaseline may lead to clogged pores which will probably lead to, you guessed it, acne. Although it is an extremely rare occurrence, some people have allergic reactions when Vaseline is applied to the extremely sensitive eye area. 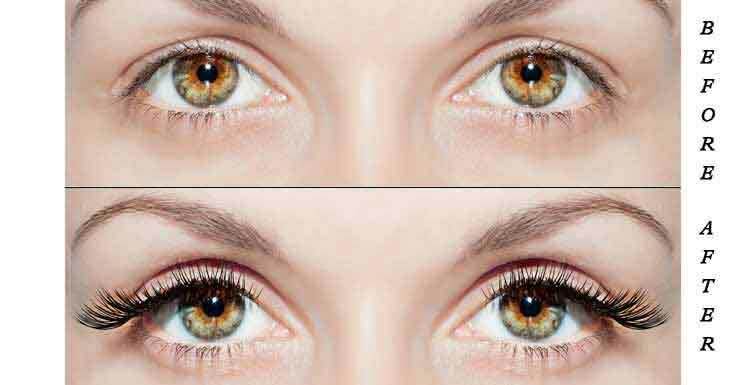 Lashes fall off naturally and do so when they start becoming a little bit heavier at their bases. If you can provide a little bit of strength to the base, as petroleum jelly does, the lashes can hang on a little bit longer and can continue to grow. Another way that this also works is by providing moisture to the hair itself. Petroleum jelly, with its moisture rich properties, makes eyelashes healthier thus preventing any premature breakage. You don’t have to wait 2-4 weeks to reap the benefits of Vaseline. As soon as you put it on, the oily substance increases reflectance and can add drama and definition to your lashes much like mascara does. Try using Vaseline every day under your usual mascara, it could just make your look last a little bit longer. Be patient with your lashes. Everyone is different, there is no fixed time as to when you are going to start to see results. Some people say it is in a span of days while others have to wait a month or so. Just be patient with your lashes, and you will surely reap the benefits of your perseverance. Always remember to wash off the Vaseline properly in the morning. Rinsing the product well will ensure that there are no oils left upon your eyes that could cause clogged pores and acne. It also ensures that you won’t get any dark circles or puffiness around your eye area by reason of oils that have been stuck. Although admittedly it has its drawback (but what doesn’t right? ), Vaseline is still a must try if you’re looking to get longer lashes. Its price is also very cheap. You can also find it anywhere. Just be careful and make sure to rinse it off properly. Also, monitor for any allergies and such. But the most important reminder of all is to be patient. Vaseline heals your brittle and dry lashes, breathing into it, new life, it’ll take some time. You know what they say, Rome wasn’t built in a day!